To make the world a happy and healthy place. 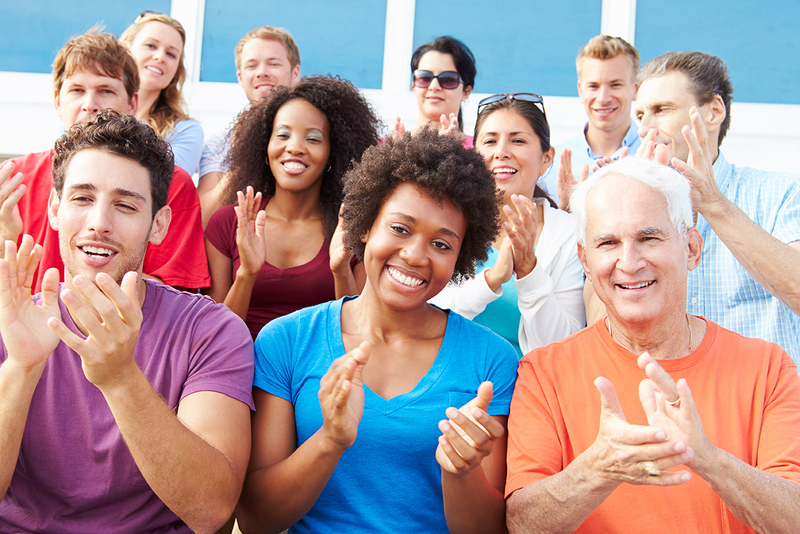 Clapping is an expression of happiness that helps promote a healthy, fit and active lifestyle. Clap4Health!℠ is a National Fitness Campaign—Using Clapping, as its method of delivery to Raise Awareness and Prevent Obesity Among Children and Adults. It is an innovative solution to keeping fit, active, healthy and happy throughout your life. The Benefits of Clapping your hands are based on the Acupressure Theory. “Our body has 340 known pressure points, 28 of which are in our hands”. This is why everyone loves to clap. It makes you happy! This program is being implemented in organizations across the nation to teach the benefits of keeping fit, active, healthy and happy. What is Clap4Health!℠ Fundraising? It is a campaign that allows everyone to fundraise for his or her organization. Together you will gather pledges for each clap they make during Clap4Health!℠ Events. For example, if their friend pledges $.50 cents for each clap, if your employee claps 200 times during a Clap4Health!℠ Event, they will receive $100 dollars as a donation from their friend. Your organization will receive 20% earned from the Clap4Health!℠ Event. Your organization may use that money toward any non-profit of your choice, your school, organization or possibly new equipment in your wellness center. It is totally up to you and your organization or school. Why Are YOU the ideal setting to host such a program? We have compiled a rich list of research, data, and resources for you to educate your students, employees, staff, parents, and community on the power of clapping. Incorporate this information into all of your organizations website and social media. The Clap4Health!℠ Event is the optimal ways to educate everyone and make a difference in their lives. Clapping plays an important role in curing heart and lungs related problems like asthma. Provides relief from back, neck, and joint pain. Clapping is an effective therapy for digestive disorders. Clapping aids skills enhancement of children and improves their academic performance. Children who clap regularly are also likely to make less spelling mistakes than their peers. Clapping sharpens the brain of children. Clapping increases immunity and thus keeps diseases at bay. People living in air-conditioned houses and working in offices who do not sweat at all should practice clapping therapy as it would help blood circulation in the body and cleanse it fully. Let’s have some FUN GETTING HAPPY and HEALTHY!